Teachers at one of Germany's most famous Catholic choir schools physically or sexually abused 547 pupils between 1945 and 2015, an independent report has found, with some boys likening the institution to a concentration camp. The 440-page report chronicles teachers doling out physical violence including slapping boys in the face so hard that the marks could be seen the next day, whipping them with wooden sticks and violin bows and subjecting them to severe beatings. 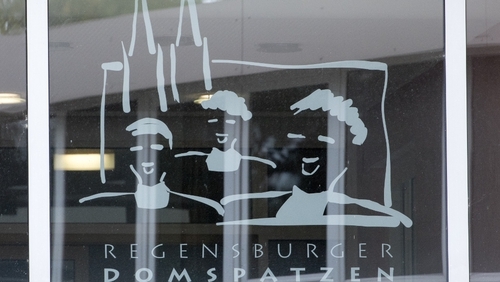 Boys who tried to escape the "Regensburger Domspatzen", or Regensburg Cathedral Sparrows, were hauled back into the school and beaten and humiliated in front of other boys, it said. Allegations of abuse at the school, which dates back over 1,000 years and now tours the world to perform choral music, surfaced in 2010. After criticism of that investigation, the diocese, which acknowledged it had "made mistakes", commissioned lawyer Ulrich Weber in 2015 to put together the independent report. Former Pope Benedict's brother, Georg Ratzinger, 93, led the choir from 1964 to 1994. He acknowledged in 2010 that he had slapped pupils in the face but said he had not realised how brutal the discipline was. Mr Weber said he was "to be blamed especially for turning a blind eye and not intervening despite having knowledge", adding the investigation did not show he was aware of sexual abuse. Several testimonies said he was generally friendly. It was not possible to contact Mr Ratzinger for a comment. Mr Weber said the system was focused on achieving musical excellence choral success and to that end, a high degree of discipline was commonplace. That provided a basis for violence. He found that a total of 547 former pupils had probably been victims of physical and/or sexual violence. Of those, 67 suffered sexual abuse. He blamed 49 individuals, 45 of whom were physically violent and nine of whom were believed to have committed sexual violence. "Victims ... described the institution as a prison, hell and a concentration camp," Mr Weber told a news conference. "Many of them called the time there as the worst of their lives which was marked by violence, fear and helplessness." Allegations of sexual and physical abuse in Catholic schools in Germany, in particular in the former pope's native Bavaria, have shaken the church and abuse scandals have also rocked it in Ireland, the United States, and Austria. "These are not 547 cases where an individual was affected once. Rather, this was an ongoing practice over decades where 547 children were tormented, abused, mistreated and socially harmed," former choir boy and abuse victim Alexander Probst told Reuters TV. "They are severely traumatised to this very day. This upsets me. I thought I had gotten over it after a seven-year battle but in fact this greatly upset me today." "We all made mistakes and have learned a lot. We see today that we could have done things better and sooner," said Michael Fuchs, General Vicar of Regensburg Diocese.